UPDATED June the 17th 2013. KaDy Students draws together the (university) student force of Kampuksen Dynamo, a Finnish Futsal League team from Jyväskylä, central Finland. Majority of the players study in the University of Jyväskylä, but there are also a few futsalistas from the Jyväskylä University of Applied Sciences. The story: In cooperation with an another futsal club Liikunnan Riemu, KaDy Students organized the National Universities Futsal Championships for the 3rd time. Result was the same as with the previous competitions: KaDy Students won the tournament and celebrated their 4th National Universities Championship. Due to the recently imposed age limit regulation by EUSA, KaDy Students will have to renew radically if it wishes to continue participating in the European Universities Championships. However, the team will take part in EUC competition in Málaga in July 2013 as the age limit is not yet valid there. Check out KaDy Students's Málaga sguad here! 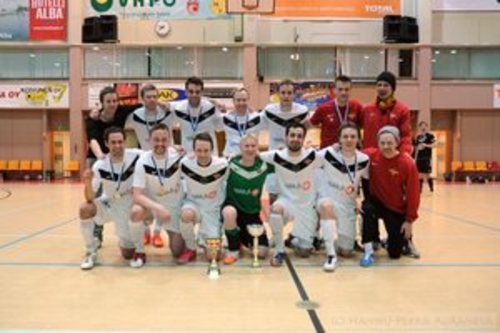 The story: Just as the year before, KaDy organized the National Futsal Championship in Jyväskylä (27th-29th of April). KaDy Students won the competition for the third successive time and earned the right to participate the 2013 European Universities Futsal Championship in Málaga, Spain. The main objective of KaDy Students was the European Universities Futsal Championship held in Córdoba, Spain, between 16th and 22nd of July. Futsal was one of the ten sports of an enormous student sports event hosted by Córdoba, 1st European Universities Games. After finishing 3rd in an extremely competitive group of four teams, KaDy Students were doomed to the lower category (positions 9-16). In the end, KaDy Students won 4 out of 5 matches and kept a clean sheet 3 times; nevertheless, the final position was no more than 9th. Check out Córdoba squad here. The story: KaDy organized the National Universities Futsal Championship in Jyväskylä (31st of March - 2nd of April) and took the first place among 13 student teams around Finland. This achievement awarded KaDy Students with a right to partake in the 1st European Universities Games held in Córdoba (SPA) in July 13th-24th 2012. 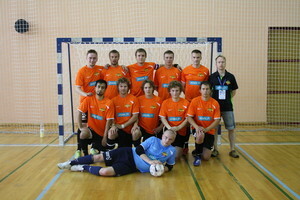 KaDy Students also participated the 8th European Universities Futsal Championship 2011 in Tampere (FIN) in July 16th-24th 2011. The team achieved, once again, the 7th place in a 24-team tournament. 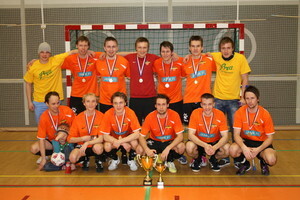 The story: In March 2010 KaDy Students won the National Universities Futsal Championship at Tampere, and, consequently, was awarded with a place to the 7th European Universities Futsal Championship held in Zagreb 18th-26th of July 2010. KaDy Students took the 7th place (out of 16) in the tournament, thus achieving a new Finnish record in a high quality competition.